Rihanna has become the new, undisputed queen of beauty with her makeup line Fenty Beauty. The popstar turned beauty mogul has taken over the beauty industry with her new venture. 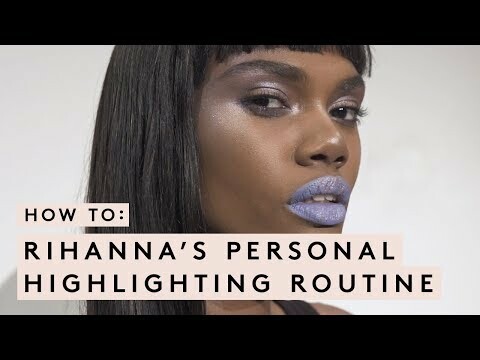 Fenty Beauty gives fans a chance to get the Rihanna look and in this video, her personal makeup artists shows us how to get a highlight just like Rihanna. The first Fenty Beauty drop was legendary as fans all over the world clamoured to get a piece of the collection. The product that did exceptionally well was Rihanna's highlighters especially the one called 'Trophy Wife' which was arguably the most pigmented highlighter the world had ever seen. Want to know the secret to Rihanna's ultimate glow? Learn her personal highlighting techniques straight from the source. In this masterclass, Fenty Beauty's global makeup artists Priscilla Ono and Hector Espinal spill the tea on Rihanna's personal highlighting technique. Take a look at all the glowing goodness below and get your makeup game on Rihanna's level today!